you have nothing better do with your time anyway so just watch it! ...and you will be able to watch it! 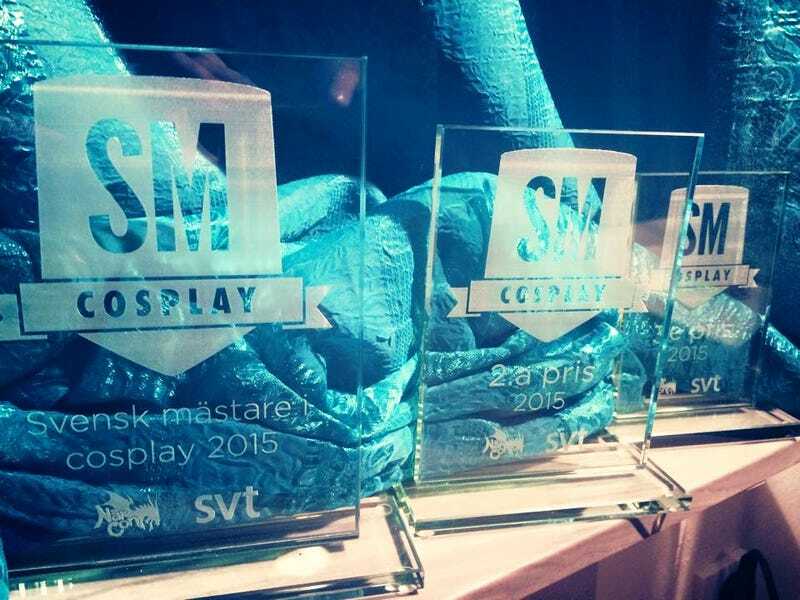 Three days from now NärCon (a convention focused on east asian pop-culture and gaming) will together with SVT (Swedens national broadcasting channel) air the Swedish Cosplay Championship. First they will host a live stream on SVT-Play (that anyone can watch! Even you! Person outside of our borders!) and then later that day, they will air on TV! That is pretty cool right? One of my friends are in the panel of judges and a few other friends is doing a bunch of other stuff related to the cosplay championship. They finalists are winners from several other Swedish conventions and if I remember correctly, also from some sort of Internet vote. They have a nifty process explanation thingy on the website, but I don't think you will get that one without understanding Swedish. They have some Swedish interviews with all the finalists here. Anyway, felt it was a fun thing to share with the O-deck. :D I really love how cosplaying is growing.